The Family Five Hightop carries 5 clients in saftey Belts. There are two Baby anchorage points for two Babies. 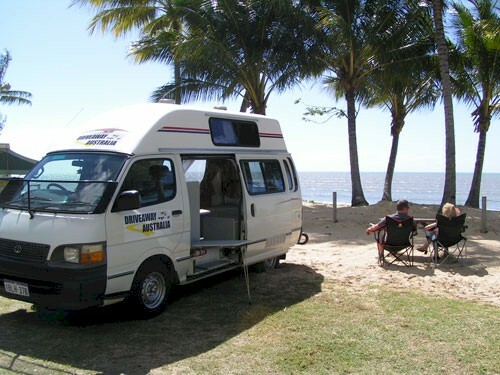 The campervan is fully equipped and is our most sought after campervan. Travel with your family or friends in our Family Five Campervan. Mum Dad and the Kids can all travel together at a great price. Comes fully equipped for five clients. There is sleeping for 3 Adults in the Van. The Van also contains a 2 man tent. This gives you sleeping arrangements for 5. Travel with friends and have a great social time. This is the best value Campervan on the market for families or groups of friends.